1. 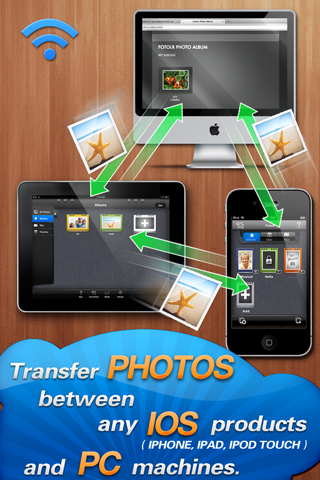 Transfer photos among different devices. Your photos will be shown in the day photos were taken in the calendar. 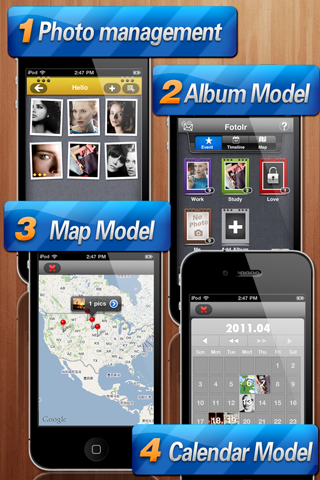 Your photos will be shown in the geographic location photos were taken in the map model. You can encrypt any album and protect your privacy. It supports Twitter, Facebook, Tumblr and Sina Weibo.